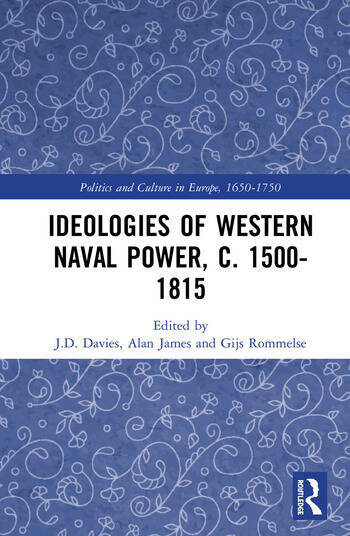 This ground-breaking book provides the first study of naval ideology, defined as the mass of cultural ideas and shared perspectives that, for early modern states and belief systems, justified the creation and use of naval forces. Sixteen scholars examine a wide range of themes over a wide time period and broad geographical range, embracing Britain, the Netherlands, France, Spain, Sweden, Russia, Venice and the United States, along with the "extra-national" polities of piracy, neutrality, and international Calvinism. This volume provides important and often provocative new insights into both the growth of western naval power and important elements of political, cultural and religious history. 4. The French Navy from Louis XV to Napoleon I: What Role and by What Means? J.D. Davies is a Vice-President of the Society for Nautical Research and a Fellow of the Royal Historical Society. Alan James is a Senior Lecturer in War Studies at King’s College London. Gijs Rommelse is Head of History at the Haarlemmermeer Lyceum in Hoofddorp, the Netherlands, and an Honorary Visiting Fellow at the University of Leicester.